When THE NECKS play you their drone-inflected, free improvisation mania they’d prefer you don’t expect to be impressed. Double bassist Lloyd Swanton tells me the ideal audience for The Necks is the already converted. In my own humble opinion however, all you need is a simple piece of information: no single Necks performance is ever planned or recreated. 31 years ago, the group hit upon this magic formula, and their bonkers dynamic has allowed the trio to endure. After hearing the suggestion that their music often revolves around beating a musical figure to a pulp, Lloyd chuckles. 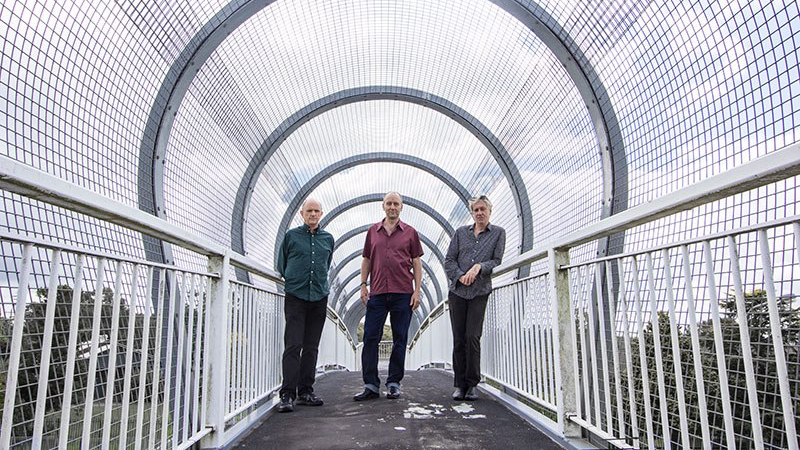 The Necks are a key reminder of the distinction between free jazz and free improvisation; not that there isn’t overlap Swanton contends, but that they firmly reside under the umbrella of the latter. Their live performance captures the sound of the room that they occupy, as difficult as that is to quantify. In the employment of such a performance convention, the question of whether that fire ever burns out is an interesting one. Trying to get categorical about the resulting music is not something they do, Swanton says. However, the word “cinematic” is one that often gets attached by others. Experience The Necks at The Street Theatre on Sunday June 18 from 6pm. Tickets $35-45 + bf through thestreet.org.au.